ACCESS is the manufacturer of roll-up truck bed tonneau covers and truck accessories. The brand is owned by Agri-Cover Inc. (ACI) and was the first to introduce the original ACCESS Roll-Up Tonneau Cover back in 1991. All ACCESS tonneau covers are proudly designed and manufactured in the USA and are easy to install. The design of ACCESS tonneau covers will give you the freedom to utilize the truck bed in any way you want. The cover can easily roll up when not in use, but it can easily roll over the bed to protect your cargo from weather and theft. Best of all, ACCESS truck bed covers are fully-sealed to prevent the intrusion of dirt, moisture, and dust inside the bed. If you think tonneau covers are only utilized for their security and protection, you better think again. A high-quality bed cover will also improve the aerodynamic performance of your truck at highway speeds. This also means you get more miles for every gallon while also improving the clean styling of your rig. ACCESS roll-up truck bed covers are backed by an impressive 5-year limited warranty. Each kit comes with necessary hardware for an easy and hassle-free install. One of the most popular tonneau covers in the ACCESS lineup is the Limited Premium. The cover is designed to open easily and stores discreetly behind the cab. The cover is also designed to sit approximately 1 and 1/2 inches above the bed to provide a bit more room for all your precious cargo. Sam’s Motorsports is offering the ACCESS tailgate protector, Limited Edition Tonneau Cover, LiteRider Roll-Up Tonneau Cover, TonnoSport Cover, and Vanish Cover at extremely affordable prices. Give your truck premium protection with ACCESS Roll-Up Bed Covers. 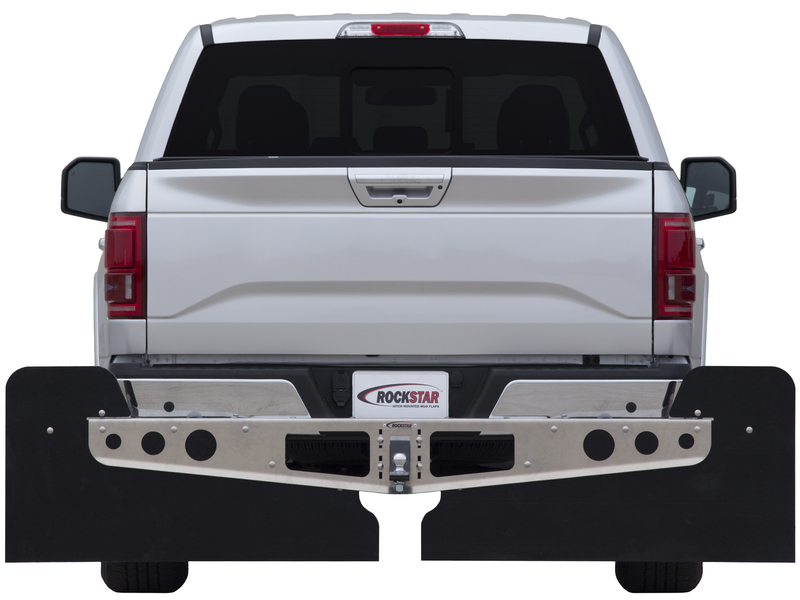 While this Rockstar Universal Hitch Mounted Mud Flaps might fit your vehicle, unfortunately we can't guarantee fitment. Please read description and specifications to decide if this part is right for your vehicle.